The Sparkup’s High specialization workshop “Fab Campus 2016” was recognized by The National Institute of Entrepreneurs, (INADEM by it’s name in spanish), because of it’s work of fomenting innovation as on entrepreneurs as in micro, little, and median mexican enterprises (MIPYMES), which brings the benefit that both entrepreneurs and MIPYMES can get the support on their projects and so create new prototypes bringing newer technology on them. On an interview with Jose de Jesus Torres Garcia, who is the Universidad Panamericana fonds procuration coordinator (UP), it was talked about the transcendence of the award, as the importance of this to the UP, that as alums as researchers has industry directly involved projects, getting emphasis on the development of new projects on the careers that has a directly relation with this type of necessities, such as engineering, design and business; that is why the university feels the satisfaction because of the “Fab Campus” award of SparkUp. Torres Garcia said that the UP looks forward to get a coordinated way of getting the different devices to the entrepreneurs that SparkUp has, all of this seeking for an integral service to anyone with a desire of developing a new project, getting all the resources to complete this. All of this helps the different entrepreneurs and MIPYMES, that the big majority of them does not have the the special equipment used to develop a prototype in a short time, and of course, taste it later, to be able to study the project viability, then to develop the design and get to taste it. He also explained that “Fab Campus” is an important support to avoid working on only theoretical projects, and to help the inability of being present on the market, beside of the lack of businesses interested on working on them. That is why the UP, working by Spark UP, search this kind of vinculation. On this days, there are only seven recognized High Specialization Workshops in Mexico, “Fab Campus” among them, besides that is the only one in Jalisco. This type of workshops are known as Fablab, that means “Fabrication Laboratory”, and consist on a physical objects produccion center (prototypes) that has high technology equipment operated by a computer. 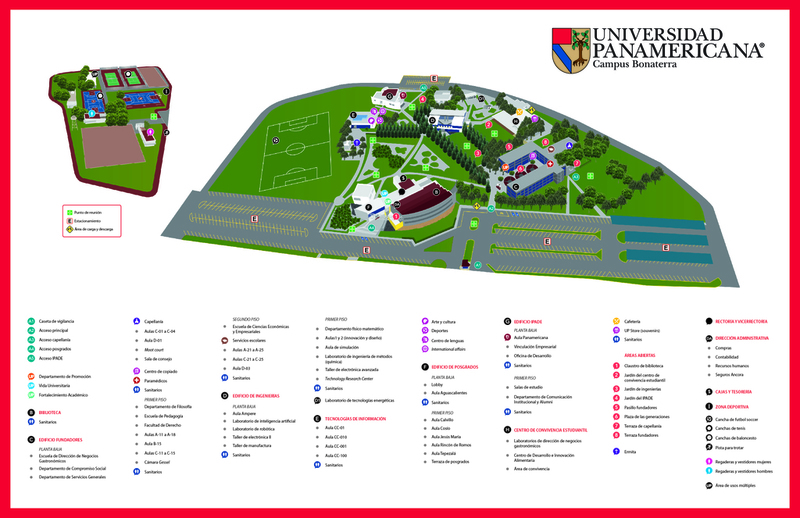 “Fab Campus” is more than a simple Fablab, since it count with six laboratories with the purpose of developing prototypes and the help of three departments of the Universidad Panamericana, which are Innovation and Design, engineering, and Business, also with an incubator. Along the laboratories that “Fab Campus” has, it is the High Technology Service Center (CSAT), the Animation Lab (MediaLab), the Manufacturing and Design Center (CDM), the Electronic Design Center, the Advanced Manufacturing Laboratory and the Control and Automatization Laboratory. Right now the CSAT has the most advanced printers and 3D scanners on prototypes, both of them quick and with a high resolution. The CDM also has the equipment and the most advance technology on the manufacturing of metal, wood and ceramic, as laser jet, CNC routers (wood and metal sculpting) and more. The Advanced Manufacturing Laboratory has the circuits proofs and design, such as electronics systems.